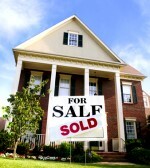 AHouseToday.com Since 1984 is not a real estate agency and is not associated with one. Unlike Realtors®, we have a financial interest in the properties we sell, so we are much easier to work with and are very flexible on terms. Apply Online by Joining Our VIP Buyer List or Call (219) 838-7600 ext 8 Now!